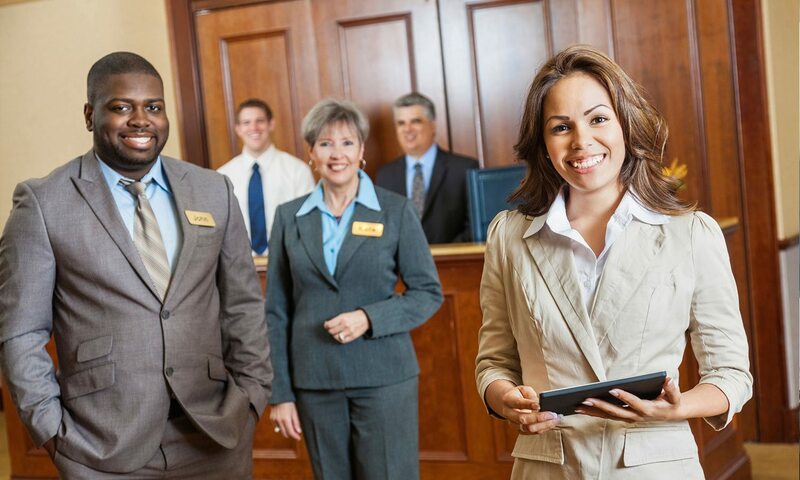 Hospitality and Tourism - Dimension Systems Inc.
Revolutionized by the development in Information Technology, Hotel and Tourism industry has become one of the first industries to adapt to this development. It has helped the industry to spread the wonder of travel and leisure. 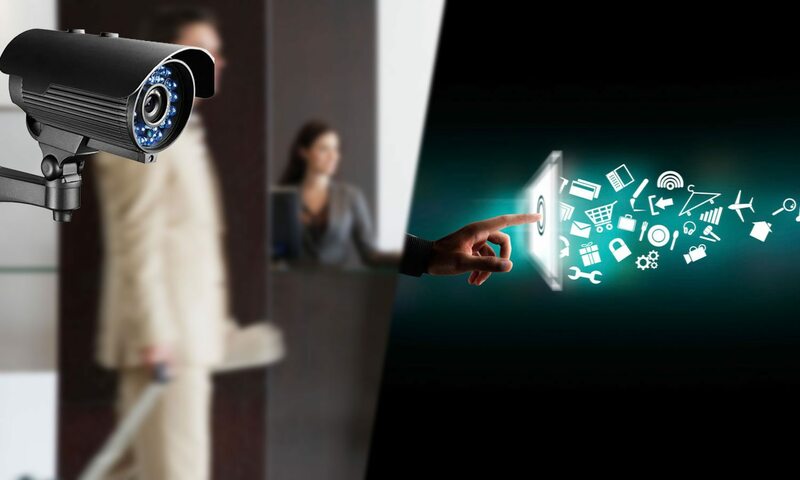 As this booming industry grows further, DSI came up with complete solutions for you to be able to keep up with the hotel and tourism trends in terms of technological advancements. Content management tool where you can provide relevant information to the right market. We create stunning materials based on the compelling message you want to send across. Providing stunning and useful website to increase your web presence. Content management service where you can create your own digital concierge. 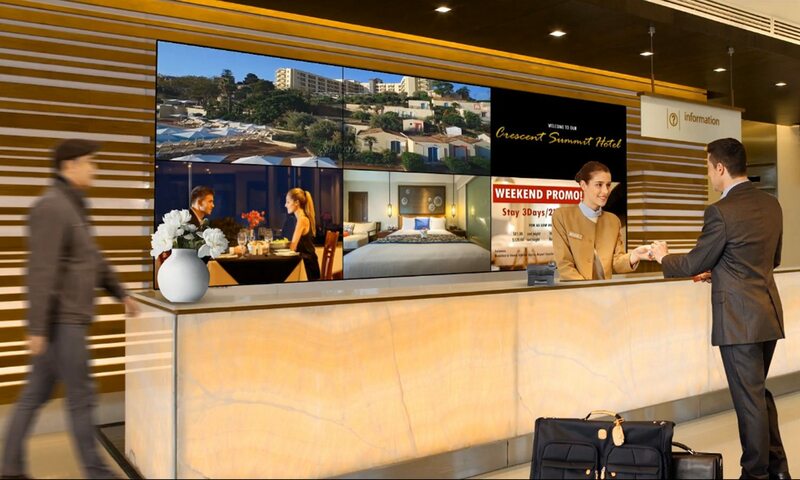 Make use of large format displays and taking it to the next level by using touchscreen capabilities. A content management solution that you can deploy to multiple channels. Tailored to meet your computing needs today and tomorrow. Push content to your POS to entice your guests for other services that your company may provide. Video recordings for surveillance or other private purposes. Secure your guests and employees’ private information by strengthening data security. Managing surveillance content remotely or on-premise through smart technology solutions with powerful computing hardware. Software solutions that would keep relevant footage well protected from breaches and intruders. Transform your brand by going digital – let us handle your website. 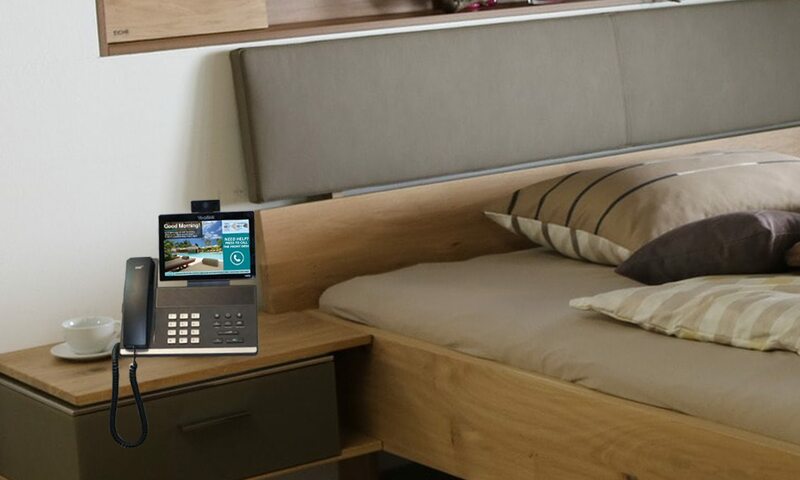 Improves the guest experience, offering guests the ability to interact with the hotel management via the IP phones in their room. Provide important announcement through its wide screens. Streamlining operations through IP-PBX solution where clients and guests can communicate in a timely manner and with ease. Optimizing phone calls through smart technologies.